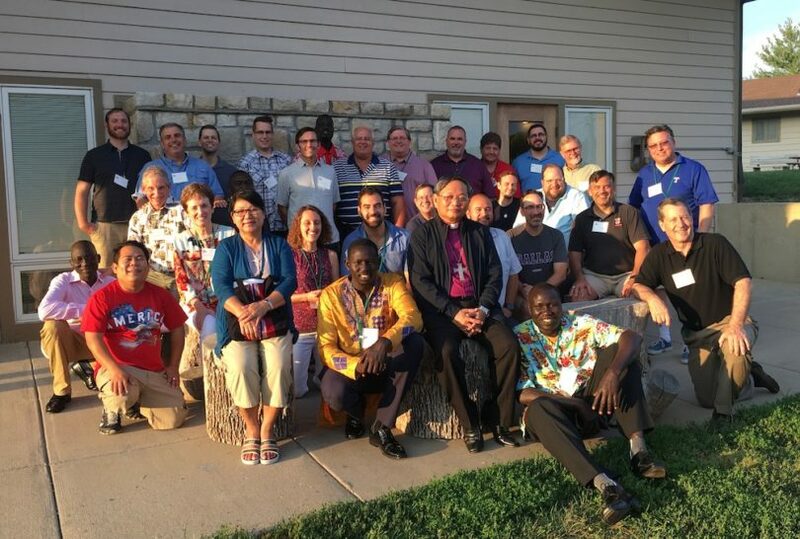 This past August, three clergy from the Anglican Diocese in New England attended a leadership training conference sponsored by Sharing of Ministries Abroad (SOMA) in Kansas City. 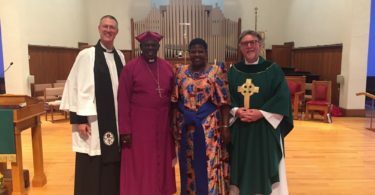 The conference’s theme was the power of prayer and included workshops from various leaders from around North America on incorporating prayer and intercession into church life. The guest speaker for the conference was Archbishop Stephen Tan of Myanmar. 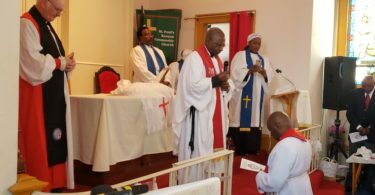 Its purpose was to empower the various ministries represented and encourage the pastors in attendance to find the freedom and courage in the Spirit that prayer provides to lead their communities. The Revs. Craig Vickerman, Piper Runnion-Bareford, and Francis Capitanio traveled together to learn from Abp. Tan and the other clergy present there, as well as to fellowship with people from around the world. The team experienced vivid renewal in their shared privilege of Gospel ministry as the Holy Spirit met them powerfully through Abp. Tan’s teaching and testimony of what God had done for him through prayer. Dcn Francis writes: “We were encouraged to pray with faith and lead with passion. Abp Tan’s testimony of encountering God in impossible situations over the course of his many years of ministry struck deeply resonant chords for each one of us.” The message was clear that all clergy must not hold back from engaging God in prayer and battling the spiritual powers that inhibit the Gospel. Those who serve the church in ministry must not shrink back from giving everything they are, not just to other people but to God, confident in the knowledge that prayer is never wasted and 80 percent of our battle is won through prayer. The SOMA teaching encouraged the team to recognize the great importance of prayer as the foundational act upon which all other acts are built. All three team members are profoundly grateful for the prayers they received from Abp. Tan, for the fellowship they shared with so many others out on the field, and for the encouragement to pray more in courage and in faith.